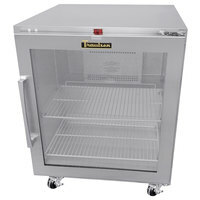 Our selection of commercial undercounter refrigerators includes options of various capacities to accommodate your low-, medium-, or high-volume needs. 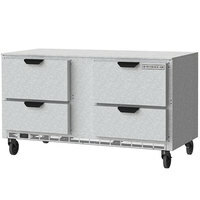 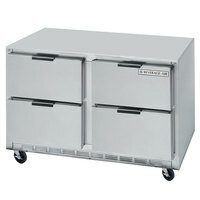 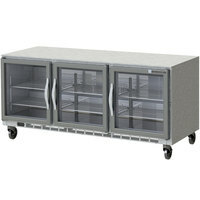 You can also find units with doors, drawers, or combinations of both to store ingredients of all sizes and shapes. 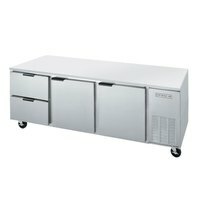 Additionally, you can choose from low profile units, which are even more space efficient, ADA Compliant models, which allow employees with disabilities to use them, and counter height fridges, which double as worktops. 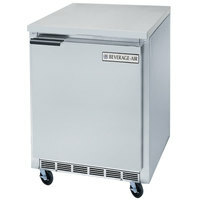 Also make sure to check out other great items from Avantco Refrigeration, Beverage-Air, Traulsen, Continental Refrigerator, Delfield and Crown Verity. 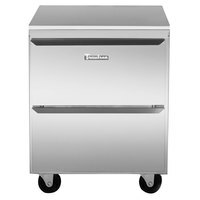 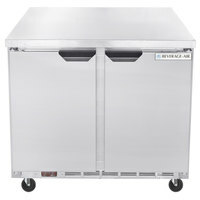 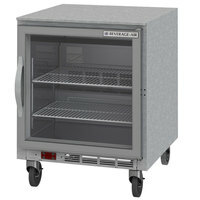 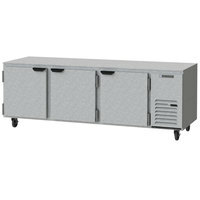 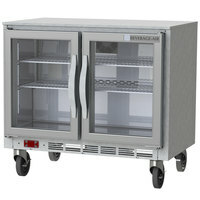 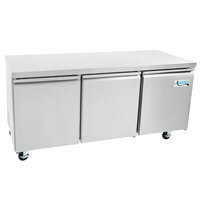 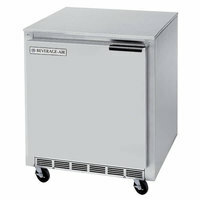 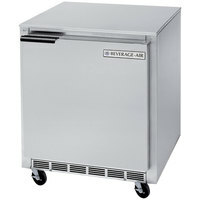 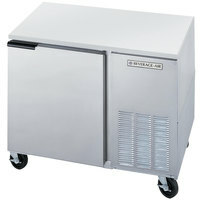 Commercial undercounter refrigerators with standard doors are hinged on either the left or right side and swing open for easy access. 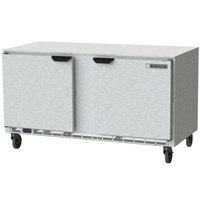 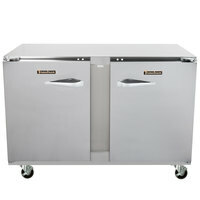 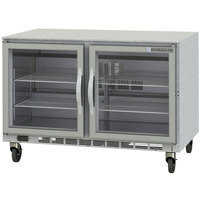 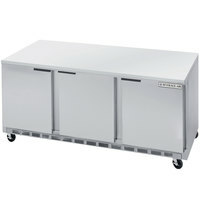 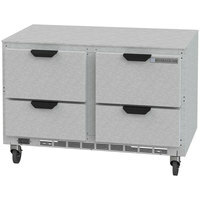 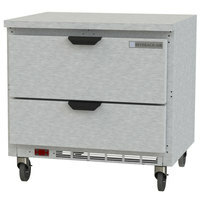 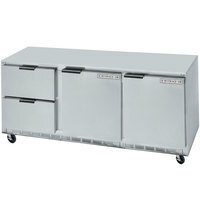 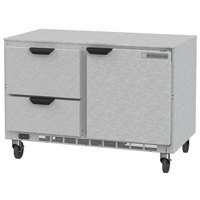 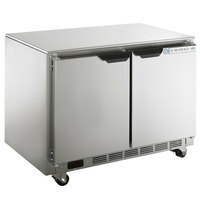 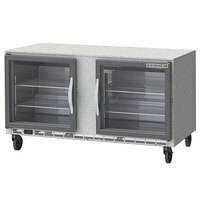 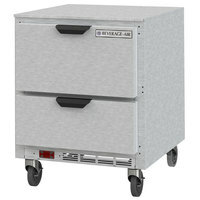 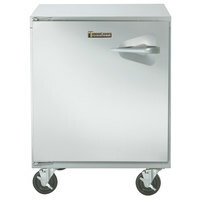 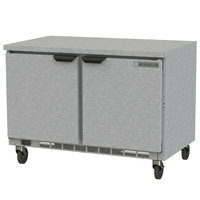 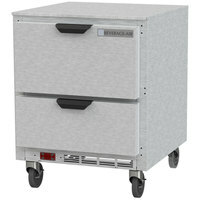 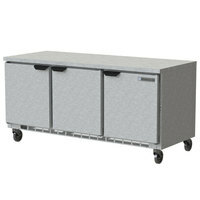 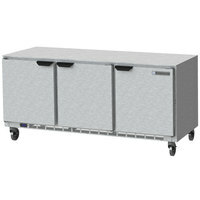 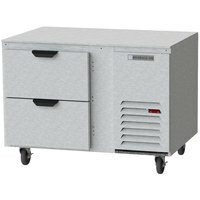 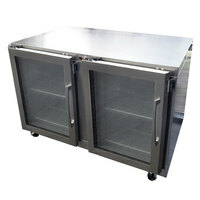 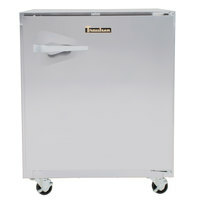 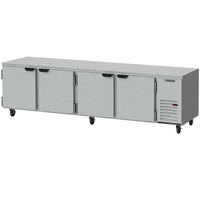 These undercounter refrigerators have both doors and drawers for ultimate storage capacity and convenience. 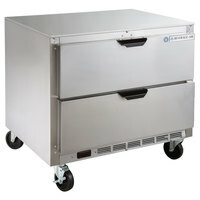 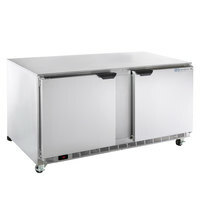 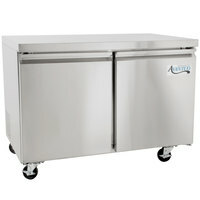 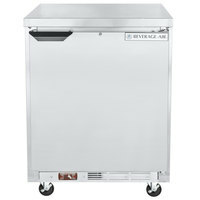 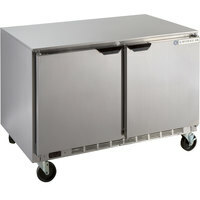 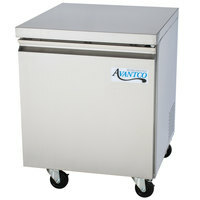 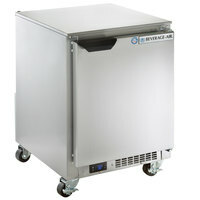 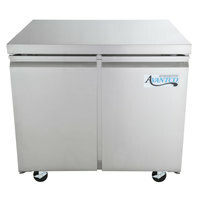 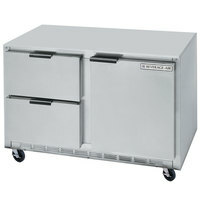 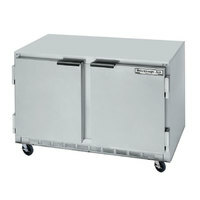 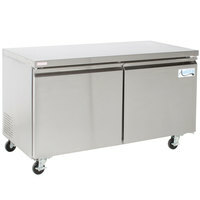 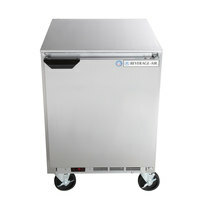 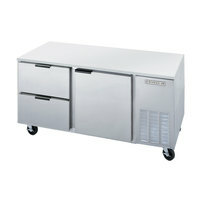 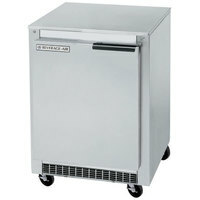 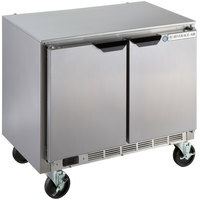 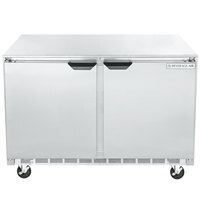 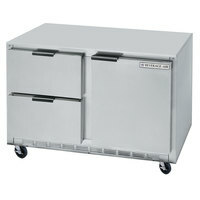 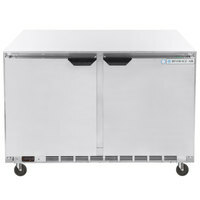 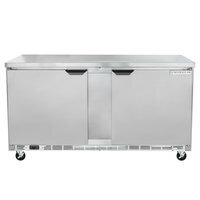 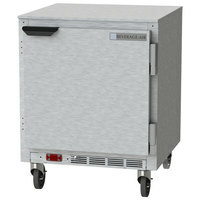 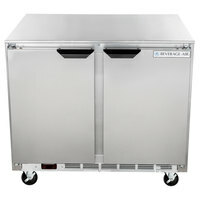 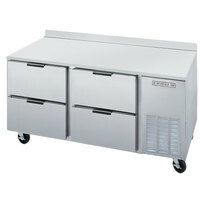 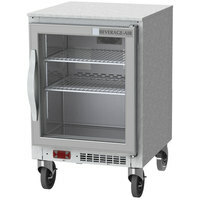 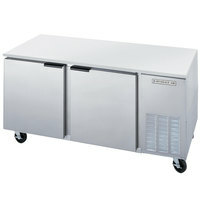 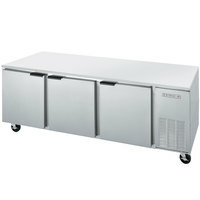 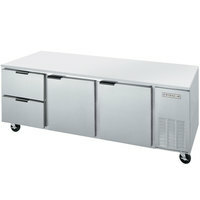 Undercounter refrigerators with drawers are ideal for keeping different ingredients separated and easy to reach. 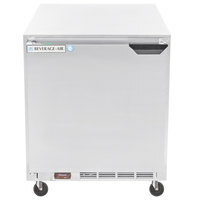 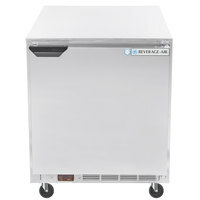 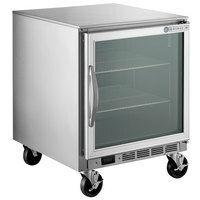 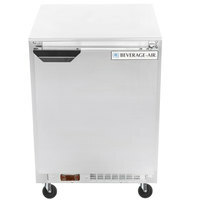 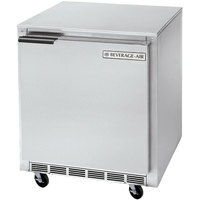 Glass doors allow your employees to clearly see which products you have stored in your undercounter refrigerator. 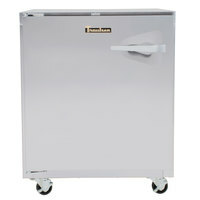 Undercounter refrigerators with steel doors are made from corrosion-resistant materials that are easy to clean. 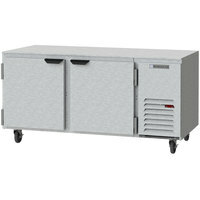 If you’re looking for commercial undercounter refrigerators for your foodservice establishment, you’ve come to the right place. 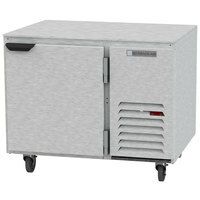 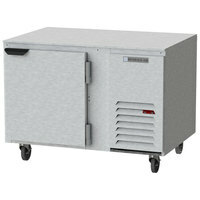 All of these units are durably constructed and fully insulated for temperature retention. 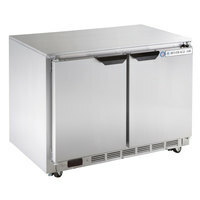 Plus, you can find models with great features like LED lighting, self-cleaning condensers, and extra deep cabinets, all of which enhance the functionality of your refrigerator. 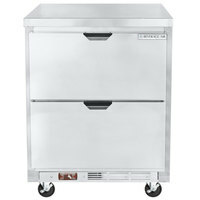 For other great products to use in your commercial kitchen, be sure to stock up on our sandwich spreaders, cutting boards, and ingredient bowls. 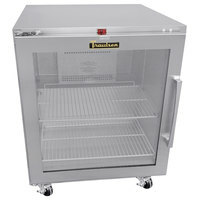 If you're wondering where to buy undercounter refrigerators, we have a large selection of undercounter refrigerators for sale at the lowest prices.